I.P. Litigation Associate – Large Law Firm – Chicago, Ill.
Fitch, Even, Tabin & Flannery LLP, a midsized intellectual property law boutique, is seeking a patent litigation associate with 4 to 7 years of experience who is interested in honing and expanding their skills and practice. The ideal candidate will have experience litigating and managing IP cases. Must have exceptional academic credentials, and while a technical degree is preferred, it is not required. Familiarity with managing electronic discovery, including managing document collections and vendors, is a plus. Experience with depositions, motion practice, and handling oral arguments is a strong plus. Trial experience is particularly beneficial. Outstanding academic credentials. A technical degree is preferred but not required, especially if candidate has significant substantive litigation experience. The position will be based in our Chicago Loop offices. We offer a congenial, team-oriented work environment, competitive salary, and a comprehensive benefits package including health, dental, and life insurance; long-term disability insurance; 401k plan; merit bonuses; pre-tax transportation passes; and a generous vacation/personal time policy. 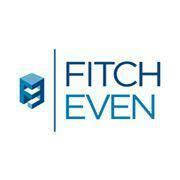 Fitch Even is committed to providing equal employment opportunity without regard to race, gender, sexual orientation, age, religion, national origin, or physical ability. To apply, please email employment@fitcheven.com. Interested attorneys should submit a resume, law school and undergraduate transcripts, and a writing sample.